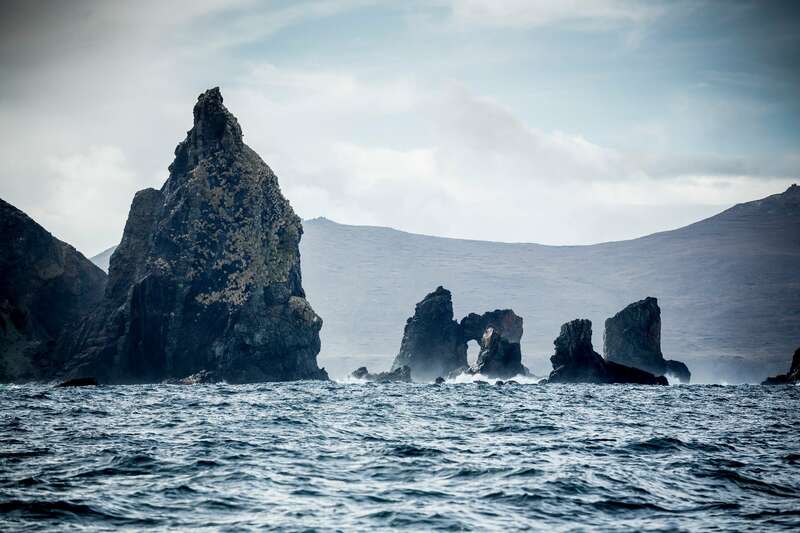 The mythical, legendary Cape Horn towers high in the imagination of all sailors. Passing it is always a feat, so you can imagine the adventure two men set out for themselves when they dreamed of being the first to pass it in a Nacra. Yes, aboard a ‘flying’ catamaran! One of the two sailors, Yohannes, was 100% amateur and winner of the Julbo Session, a unique event aimed at enabling winners to share a dream at the end of the world on skis, bicycle or running with an athlete from team Julbo. To take on the challenge of Cape Horn, Yohannes was accompanied not by any old sailor but by none other than Franck Cammas, the ultimate sea dog. Let’s take a look at how things panned out. Born in 1979, he is an architect by profession… but an adventurer by passion! He grew up near the Bavarian lakes and has always enjoyed taking on a challenge on the waters and in the hills. An accomplished sailor, he has already raced in various classes: 49er, Dart F18, Tornado. Being present at the selection for the Julbo Sail Session at La Rochelle was already a dream come true, but to win it made him enormously proud. Born in 1972 and a member of team Julbo since 1988, Franck is the sailor who has won most prizes in the history of multihulls. He has won the Route du Rhum, the Volvo Ocean Race and the Littlecup, younger sister to the America’s Cup. Franck is also at the head of the French challenge for the 35th America’s Cup with Groupama Team France, to be held in 48-foot foiling catamarans in Bermuda in 2017. 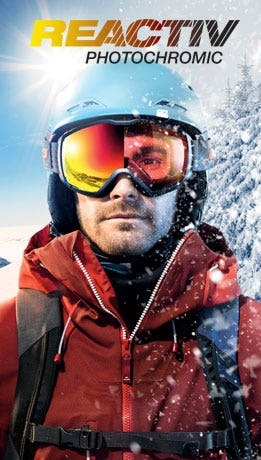 "When I saw the Julbo project, I couldn’t get it out of my head!" 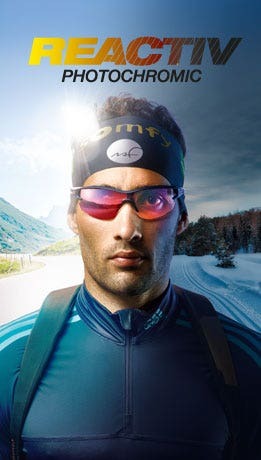 After a flight from Buenos Aires, the entire Julbo Sail Session arrived in Ushuaia for the customs formalities, for which patience is always recommended. Then they made themselves at home aboard Xplore, a superb 20-metre boat serving as floating base camp for the whole adventure. 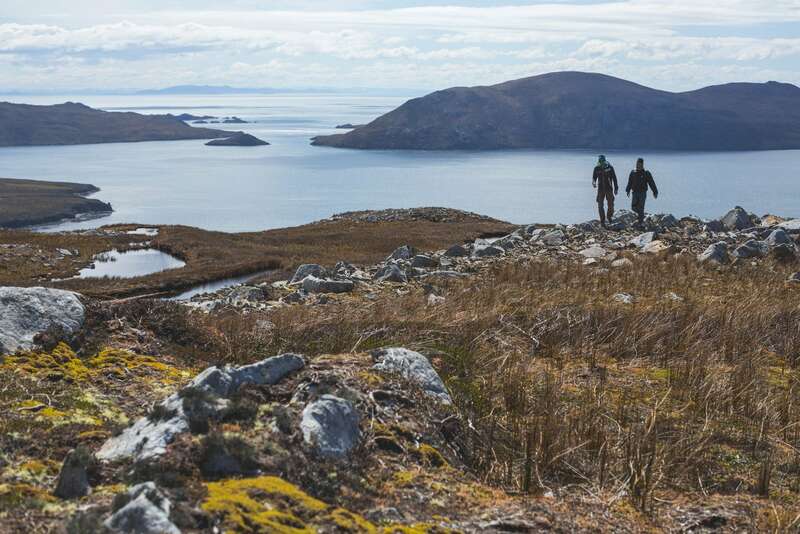 Xplore set sail for Puerto Williams in Chile. arriving at the small town of 2,500 inhabitants in the middle of the night. First thing in the morning, it was time to hand in the paperwork to the Chilean Armada, responsible for keeping an eye on all traffic in the region, including Cape Horn, and to start preparing the Nacra. Yohannes and Franck left at 6 a.m. for Puerto Toro, some 25 miles to the east. Conditions were idyllic, with a flat sea and 15 knots of wind from the right quarter. Our two adventurers relished every moment and were soon flying! Three hours later, they entered the little bay of Puerto Toro. A single jetty, 18 inhabitants, a school with 4 pupils: the most southerly village in the world is a magical place! The 4 children were delighted to welcome the sailors but considered them rather mad for wanting to sail past Cape Horn in such a boat. After clearing Punta Guanaco, they entered Bahía Nassau, a stretch of water feared by all sailors. The situation is tense and things become serious. Yohannes and Franck know they have to push forward whatever happens, because the weather window is very brief, and they’ve little time to succeed in their adventure. They often start surfing, but continue to maintain good speed. 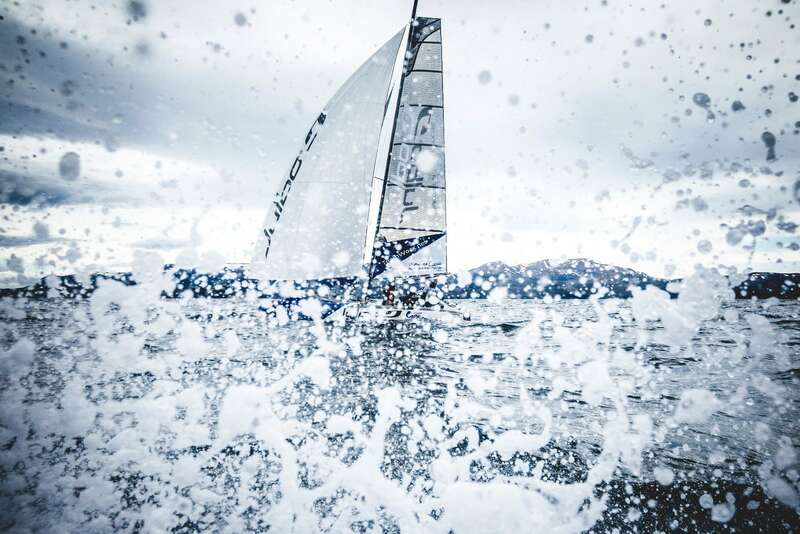 In the narrows between Isla Wollaston and Isla Freycinet, the sea drops spectacularly and the Nacra starts flying. They arrive at the anchorage of Isla Herschel: an immense beach of fine white sand. 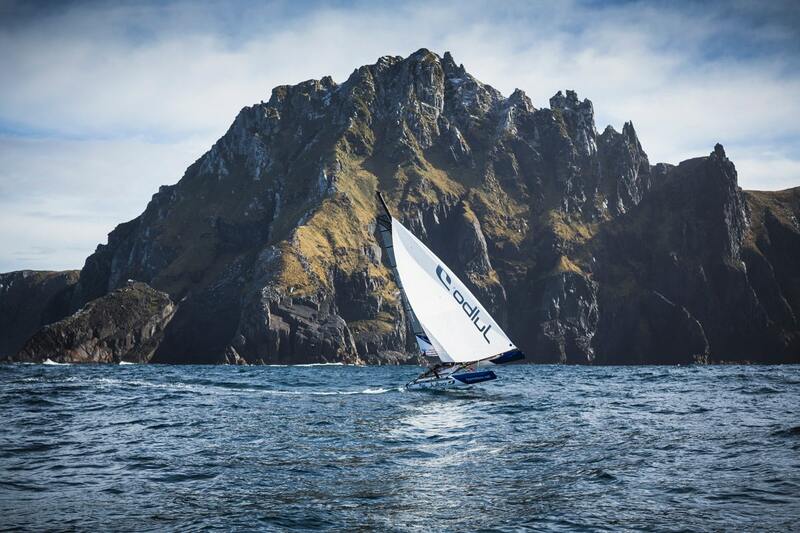 They are now less than 9 miles from Cape Horn, and they know that they’ll now be able to take on the challenge of this legendary milestone! 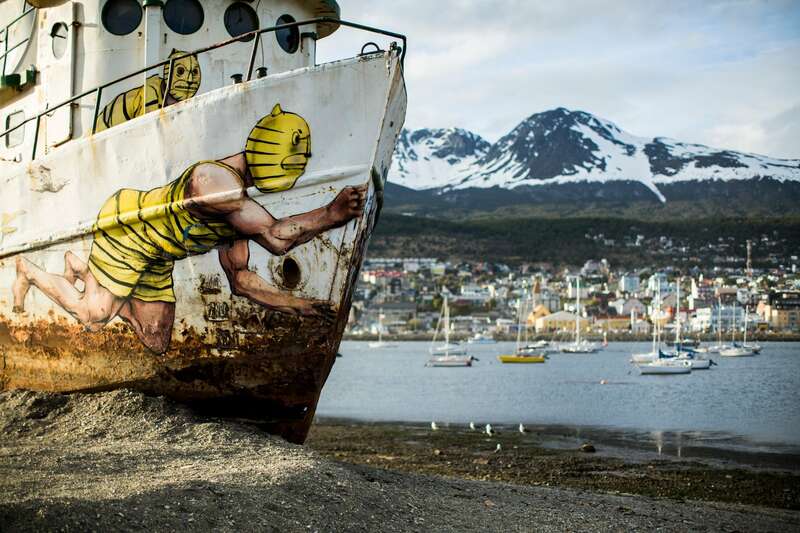 "Tierra del Fuego is a mystical place with extraordinary landscapes and incredible shifts in weather." After waiting three days because of the wind which was gusting at up to 50 knots, the team readies itself for the final assault. At 7 a.m., they set off. At 9 a.m., Yohannes and Franck have the 400-metre-high and almost vertical grass-covered cliff before them. 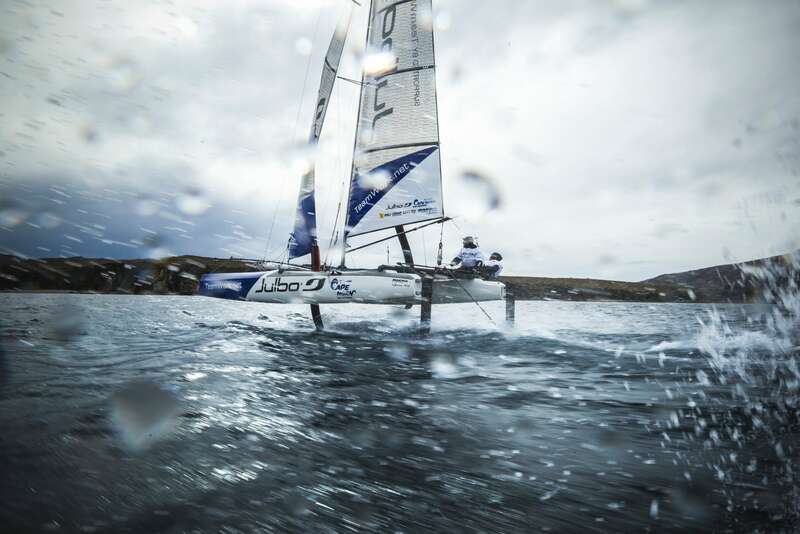 To top it all, the sun comes out and they succeed in making the Nacra fly. It’s done: they are the first to have flown past Cape Horn in a catamaran! 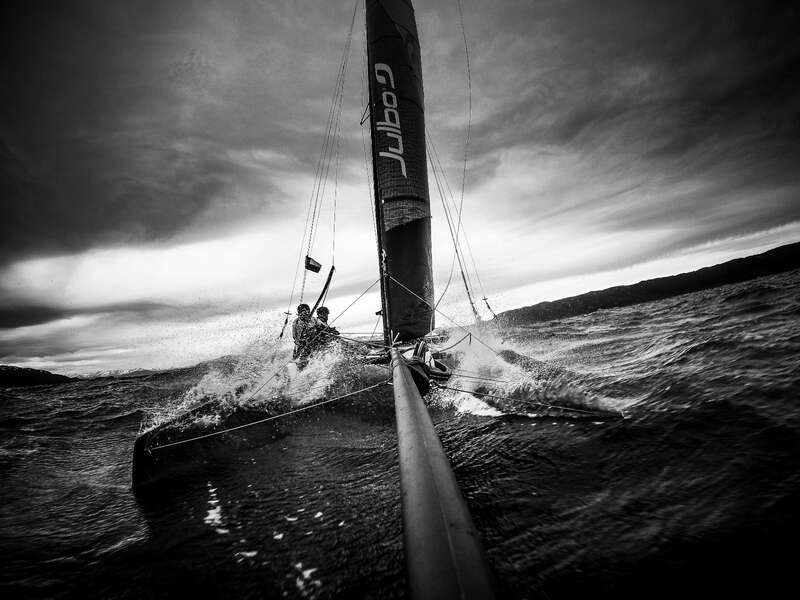 "I have three dreams: the first was to win theVolvo Ocean Race. And that’s done. The second was to pass Cape Horn aboard a flying catamaran. And now that’s done too. Now I’m readying myself for the third: taking part in the America’s Cup. And I’m going to be working actively on this with my team." "The closer you get to Cape Horn, the more impressive it becomes. It’s a real colossus!" Sailing at these latitudes with wild winds, tempestuous seas and a hostile climate is never easy. 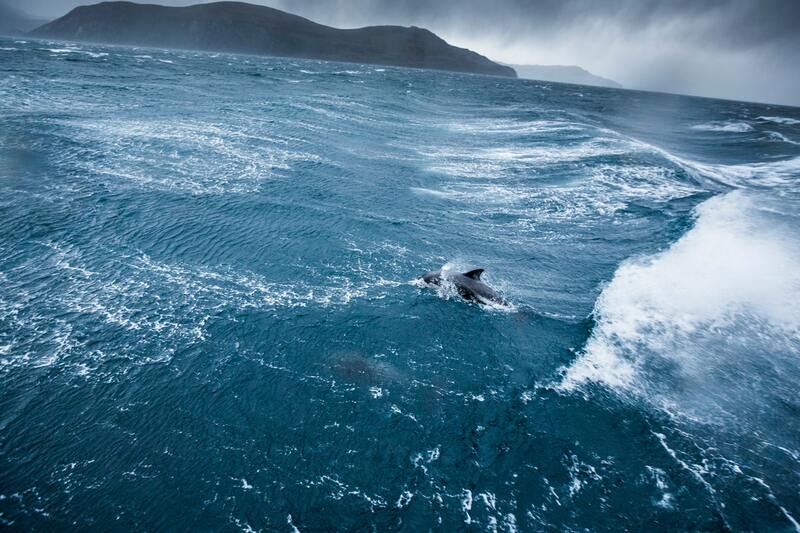 But to do so flying a Nacra in such wild seas as those of the Southern Ocean is an incredible adventure! 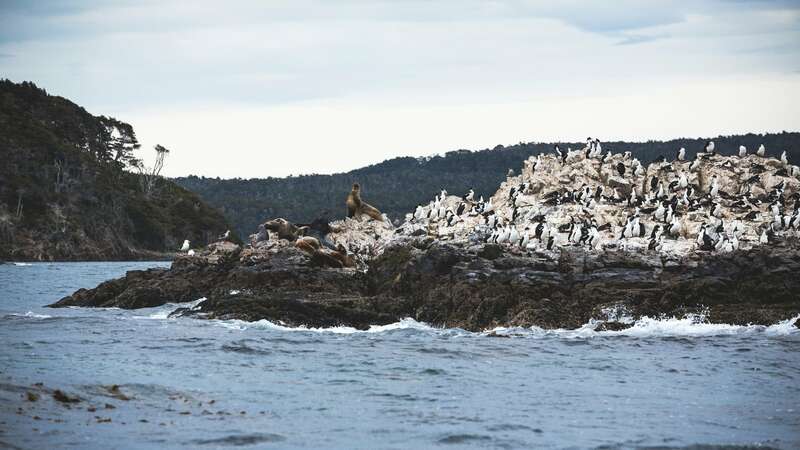 An adventure worthy of this extreme island, Isla de Hornos, battered by wind and waves. The Atlantic to the east, the Pacific to the west. And all around, wild landscapes like no other. Beauty, pure but hard. A safe haven for adventure when storm winds blew their hardest, Xplore is home to Stephen, Annie and Tobias, and proved a superb base camp. Stephen, her skipper, was not only a great help throughout the journey, but also a terrific cook who made us change our opinion about the English and their cooking: a big thank you to him and his crew! Tackling Cape Horn in these conditions and with a boat like this is not something to be improvised. But with a team like ours, we could have moved mountains! Thanks to Franck Cammas for his presence and knowledge. Thanks to Yohannes Wiebel for his passion and involvement. Thanks to Dino, Jérémy, Seb et Thibault for their great pictures and technical assistance. Thanks to Louis et Francis for having taken such good care of the Nacra during the trip. Thanks to Serge Ouatchée, our invaluable helper on site. Thanks to all the crew of Xplorer. For the past 10 years, TeamWork has provided support for sailing projects through a love for adventure in both sporting and human terms. 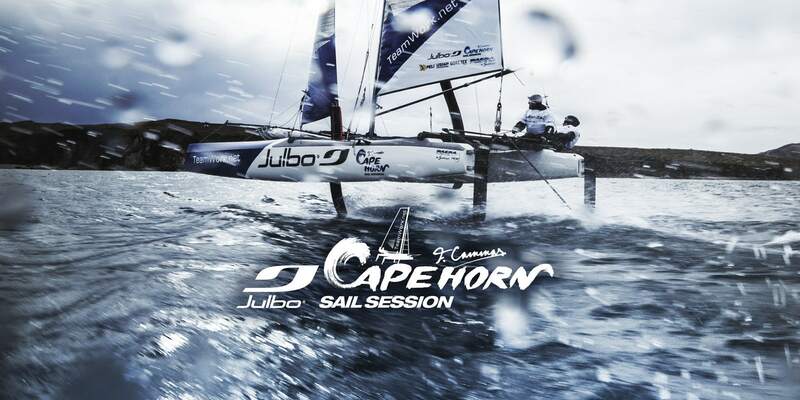 On learning about the Julbo Sail Session project, this supplier of global solutions was immediately won over by the idea, as it implemented its own values: surpassing oneself, the sharing of experience and the discovery of unknown lands. Without TeamWork and its support, the adventure at Cape Horn would have remained just a dream. A big thank you to them!